** Updates will be at the bottom of the post. See also other customers' complaints about JD Hawkeye Tree Cutting Ltd and Daniel, plus action taken by the province. Groupon, Dealfind and other group-buy providers seem like a great deal, and I've had tremendous success with some of them. I've had some wonderful deals and great experiences. But when the vendor turns into a weasel, you can be left up a tree. In July 2011, I bought a voucher through Dealfind for $99, which was to entitle me to $300 worth of tree cutting and tree trimming services from a 'company' called JD Hawkeye. We had some branches that needed to come off a tree overhanging the house. The voucher had a "can't use this before" date, but specified that "The amount paid for this voucher never expires." We called the company for an estimate, and Daniel (902-981-5651) eventually came out to have a look around. We showed him the tree we needed trimmed, and he said he could cut down the branches and haul away the debris for the $300 ($99 promo) price. He also pointed out some other trees that he indicated were in rough shape, and suggested we also take those down. We said we'd think about it. After thinking about it, we called back and indicated we'd like to get the basic work done, plus one tree down. But, we were not able to get him out to our house to get the job done. Summer/Fall 2011 was rainy and cold. When we reached Daniel in the fall, he said he was done for the season and wouldn't be cutting again until the spring. In July 2012, I called again. Daniel said he was "up a tree" at the time and wanted me to call back and just leave a voice mail. I left a detailed message with my phone number. He didn't call back. In August 2012 I resumed trying to find Daniel and JD Hawkeye, not wanting to be stuck again with leaves and branches falling on my roof in the fall. He wanted to come out again and have a look again at the trees in question. We set up a time, and he arrived to look at the branches. After becoming frustrated with the long delay and lack of telephone cooperation, we decided not to have the extra tree cut down. Daniel said he'd do the branches I indicated for the voucher value. We set up a time for him to come by and do the work on the branches alone: Labour Day weekend, Saturday September 1, 2012. He said he'd be by around noon or 1pm. I put it on the calendar and made sure I was around. Daniel did not show up or even call. The next day, Sunday September 2, 2012, I was awoken by Daniel ringing the doorbell. He was on the front porch. He said he couldn't show up the day before because the alternator in his truck was shot. He said he would be back later that day, in "a couple of hours," to do the work. He emphasized that we wouldn't need to be there to have it done, and I assured him that we would stick around. He didn't show up. He didn't call. Two days out of the three-day weekend waiting for Daniel from JD Hawkeye to show up to his scheduled appointments, wasted. It's now nearly two weeks later, and I tried one more time to get Daniel from JD Hawkeye Treecutting to honour his deal and do the work I've already paid for. I phoned him this afternoon. He said, "We had a deal to cut down the other tree," and that I should just "get my money back from Dealfind." He said it's been a long time. I reminded Daniel that the delays were because he was unable to do the work when it was requested, and that he had no-showed multiple appointments and not returned calls. I let him know that we decided not to spend extra on extra tree-cutting because we were concerned with his lack of professionalism in handling us as customers. I reiterated that the missed appointments were made after I said I just wanted the branches done. And I reminded him that the voucher explicitly says it does not expire. He maintained his position that he only gets a portion of the money from Dealfind. I let him know that if he has issues with his Dealfind contract, that's between him and Dealfind. I've paid my money, I've consulted with him on work to be done, and I expect to get the work I've paid for. I'm not sure how to translate the mumble he offered in response. He then said he was busy and hung up. Nobody used profanity. I'll give him credit for that. But he was dodgy and entirely unwilling to take responsibility or be a professional. I called back and left a voice mail inviting him one more time to make good on his deal. The call has not been returned. 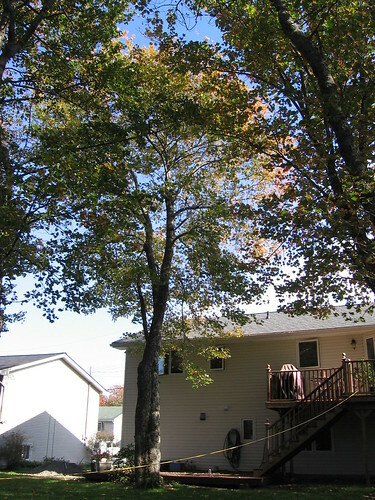 An email to jdhandyman@hotmail.com via his web site, http://jdhawkeyetreecutting.com/, bounced back. JD Hawkeye has also offered "deals" through WagJag, Kijiji Daily Deals, SocialCircle, YumDeal and CakeDeals. Should vendors feel it's fair game to squeeze customers for extra money when redeeming a group-buy voucher? Should vendors from group-buy programs refund the money, or should the group-buy program? Will a BBB complaint get me resolution on this? Who will cut my branches? Why would a vendor decide it's better to screw over a customer than to do honour their contracts? In the age of blogging, tweeting and other social media, what's the amplification factor for the old marketing saying, "A satisfied customer tells two people. An unsatisfied customer tells ten people"? Dealfind and JD Hawkeye Treecutting: The ball is in your court now. Who's going to make this right? Update Thur Sept 13 pm: After this post went up, email was sent and Dealfind contacted, Daniel called to arrange to do the work on Saturday afternoon at 3pm -- that is, cut down the limbs we'd specify and dispose of them for the value of the voucher. He cited some need to "verify" the voucher, so I gave him the voucher number. Standing by to see if he follows through. Update Sat Sept 15 pm: Daniel no-showed his make-good appointment. No call, nothing. Update: Another post outlining other customers' complaints about JD Hawkeye Tree Cutting Ltd and Daniel, plus action taken by the province. Update Mon Sept 24: DealFind sent me an email in response to my refund request last week saying they needed 48 hours to investigate. That was...let's see...three work days, five calendar days ago. It's now been 11 days since the refund request was sent. Update January 2013: Daniel has finally found this site and has posted a comment as "Anonymous" pretending to be someone "who knows the owner" as a great guy who was nearly ripped off by me. Given that he's done no work and I have not received my money back, that's patently impossible. We had J.D. Hawkeye Tree Cutting remove several trees from our yard. We were quoted a price of less than half of the amount that three other companies quoted (Red flag we chose to ignore). We were told by Daniel (The Owner) that it would take them 1 day; they ended up taking 4 days to complete the task. I was told that they would climb the trees and lower the logs down so as not to damage the lawn. This did not happen as they just cut the 25' high trees at the base and let them fall to the ground causing deep holes in the lawn that I had to fill with soil. In allowing the trees to free fall they also damaged several trees that we were keeping. On the second day Daniel requested payment for what they had done, I refused and said they will be paid in full when the job is completed. At this stage all they had managed to do was make a very large mess in our yard. One tree fell into our neighbour’s yard damaging a shrub that divides our property. And another landed in our garden damaging several plants. Something for a home owner to remember is that we are responsible for the safety of workers that perform work on our property. And we should always ensure that the contractors we hire have insurance that will cover any potential damage to yours or your neighbour’s property. And that they have Workers Compensation Board Insurance (WCB) for the employees that are working for them. With that said I did check to see if J.D. Hawkeye had the required documentation and it was produced, however seeing the unsafe manner in which my trees were cut down caused me to have a very stressful 4 days. Paying them at the end of the job was a very happy day for us, not because they did a good job, but because they were done, the damage was relatively repairable and nobody was hurt. I would not recommend J.D. Hawkeye Tree Cutting Services for any of your tree cutting need. The price was low and without doubt we get exactly what we paid for. You spent an hour and 26 minutes on the blog, Daniel, and that's the best you could come up with? You "know" the owner of Hawkeye Tree Cutting because you see him every day in the mirror. In response to "you guys want to rep people off and expect them to do a very dangerous job for nothing." No, I wanted you to do the job you agreed to for the money I already paid. If you had a problem with the percentage that Dealfind was giving you, that's between you and them. I paid my money -- I expected you to do the job I paid for. It's that simple. You refused to honour that agreement and no-showed multiple appointments. After your disrespectful and dismissive treatment, I decided not to spend more money than I'd already spent. It's all laid out very clearly here. If you want to continue posting rambling, illiterate lies pretending you're a third party, please go ahead. Here's an idea for your next post: A deal is only a deal if Daniel can squeeze more money out of a sucker. Otherwise, take the money and run.